At Wirra Wirra we’re sticking our necks out to offer the ultimate Shiraz experience with a selection of our best Shiraz's and museum wines. And if that doesn’t get you we know the chocolate platter will. 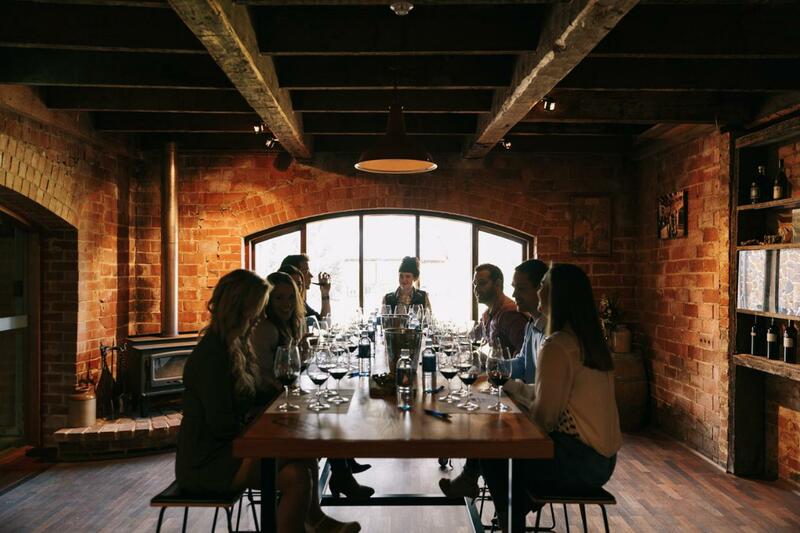 Come behind the scenes with an intimate winery tour, learn about barrel ageing in our historic Ironstone Cellars, and taste five of our best Shiraz's including a rare museum wine in Trott’s Original Cellar Door. Your chance to share in the illustrious history of Wirra Wirra and taste the very best of McLaren Vale's most famous varietal, all matched with the tantalising flavours of a Four Winds Regional Chocolate Platter. The more adventurous guests will also have the opportunity to ring our iconic ¾ tonne Angelus Bell and hear your efforts peal out across McLaren Vale. Guests will receive 10% discount on orders and complimentary freight on shipping to anywhere in Australia.